Flagship features continue to trickle down from $1,000 phones to their more-affordable brothers, and the same is happening with the chips that power them. Qualcomm unveiled new midrange mobile CPUs today that offer advanced features typically reserved for high-end phones, like AI processing and gaming enhancements. The Snapdragon 730, 730G and 665 are supposed to show up in (presumably cheaper-than-flagship) devices in mid-2019, meaning we may have a slate of budget-friendly handsets to look out for. For the first time, Qualcomm is launching a gaming-specific version of a chipset alongside the regular one. The Snapdragon 730G (G stands for Gaming, get it?) has an enhanced version of the Adreno 618 GPU to make it 15 percent faster than the one in the regular 730. It also packs some bonuses via Qualcomm’s Elite Gaming platform, like Wi-Fi latency management, jank reduction (by up to 90 percent, according to the company) and “true HDR gaming.” It’ll also support anti-cheat extensions, and be optimized for a number of “top-rated games” though Qualcomm hasn’t specified which ones. Elite Gaming and HDR optimization were introduced in December when Qualcomm launched the flagship Snapdragon 855 chipset, and we still haven’t really seen a big difference in mobile gaming yet. There have been a growing number of gaming smartphones powered by the Snapdragon 855, though, which at least shows there is demand for these specific use cases. 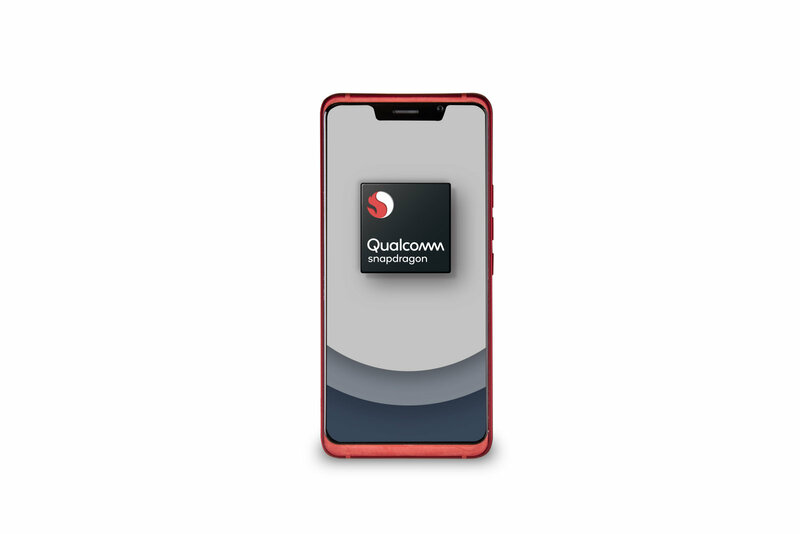 For a more general audience, Qualcomm also launched the Snapdragon 730, which packs components like the company’s fourth-generation AI processor and a computer vision-enabled image signal processor. What that means is the Snapdragon 730 is capable of running AI processes twice as fast as its predecessor (the Snapdragon 710). It’ll also use less power when doing things like recognizing objects your camera is pointing at, so your phone can last longer. In fact, Qualcomm is claiming up to four times power savings in computer vision tasks over the Snapdragon 710. Plus, the new ISP can apply portrait mode effects in real time to 4K HDR video — typically a taxing and power-draining task reserved for flagship phones. The Snapdragon 730s will also support increasingly popular features like triple-camera systems and high-resolution depth sensors, as well as save photos and videos in the space-saving HEIF format. Even without the G suffix and gaming-centric tweaks, the Snapdragon 730 will still provide decent muscle for your Angry Birds binges. It integrates the Vulkan 1.1 graphics library for realistic image quality while you’re playing, as well as surround sound enhancements. Qualcomm also added a new audio codec that it says can recognize individual voices thanks to AI, understand multiple keywords and hear you in noisy environments even if you’re far away. Of course, there’s also the usual performance improvements — Qualcomm is claiming a 35 percent jump in core speeds. The Kryo CPUs here feature two “performance” cores running at 2.2GHz and 6 “efficiency” ones at 1.8GHz. Where the Snapdragon 730 and 730G fall short of the 855 appears to be LTE connectivity. While the premium chipset can hit up to 2 Gbps speeds with its X24 modem, the 730s can only go up to 800 Mbps with their X15 modems. They are Wi-Fi 6-compatible, though, which should offer swift internet connections where available. If you were looking for something on the lower end of the midrange, the octa-core Snapdragon 665 should pique your interest. Like the Snapdragon 730, it brings on-device AI-processing and triple-camera support to cheaper systems. Phones can therefore more easily apply portrait modes, low light night photography, scene detection and AR translation. The Adreno 610 GPU here isn’t as powerful as the 730’s, but it also has a Vulkan 1.1 graphics driver for light gaming. Finally, the Snapdragon 665 uses an X12 LTE modem that’ll go up to 600 Mbps, and support 802.11ac Wi-Fi with MU-MIMO — a slower and older setup than the 730.